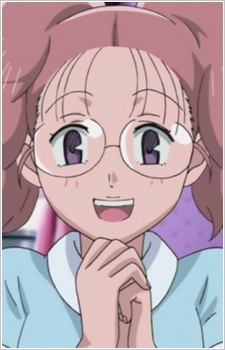 Miho Mukai in the present timespace, is a close friend of Haruka, Yū, Isami and Ai. Even though she believes in aliens, ghosts and the like, a surprising fact is that she is sometimes right in her theories of alien abduction. She develops a bond with Atori when he loses his memories, who at first thinks she is his sister. When Atori shows signs of relapsing into his prior psychotic behavior, Miho starts sobbing and threatening to not speak to him, which restores him to normal. In one potential timespace Miho is depressed as she has no friends; everyone hates her because she is rich. After spending two weeks locked in her room she develops some sort of psychosis, and does not even recognise her own mother. In the end it is Atori who saves her, and brings her back to reality. Apparently this future is not ahead for Miho.